Buy AMC Theatre Gift Cards ! Weekend showtimes can sell out, so buy your tickets online! Purchase tickets now by clicking on the showtimes below. 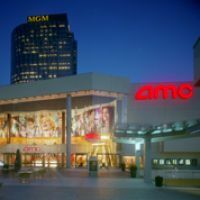 This movie theater is near Century City, Los Angeles, Beverly Hills, Rancho Park, W Los Angeles, Veterans Admn, Veterans Adm, Veterans Admin, West Los Angeles, Veterans Administration, W Hollywood.